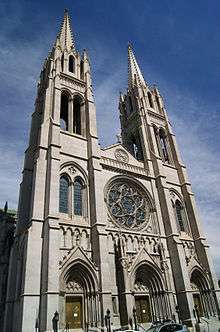 The Cathedral Basilica of the Immaculate Conception is the cathedral of the Archdiocese of Denver of the Roman Catholic Church. 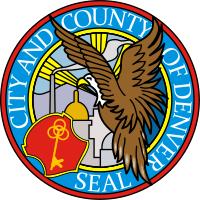 It is located at the corner of Logan Street and Colfax Avenue in the North Capitol Hill neighborhood of central Denver. Construction of the cathedral started in 1902 and completed in 1911 with a final cost of approximately $500,000. The inaugural Mass was held on October 27, 1912, and consecration was in 1921. On August 7, 1912, lightning struck the west tower causing damage to the upper 25 feet (7.6 m), however this was repaired before the opening. The cathedral was raised to the status of minor basilica on Christmas 1979. On August 13 and 14 1993 (for World Youth Day), Pope John Paul II celebrated Mass at the cathedral- one of only a few cathedrals in the United States so honored. In June 1997, lightning struck a second time, but this time damaged the east tower. The parish completed work to restore the tower within eight months. Architect Leon Coquard of Detroit, designed the cathedral in the French Gothic style. 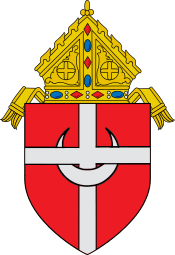 Its character is influenced by the 13th-century Saint Nicholas Collegiate church (collégiale Saint-Nicolas) of Munster, Moselle, France- the birthplace of Bishop Nicholas Chrysostom Matz, who supervised cathedral construction. The building is in the shape of a Latin cross measuring 195 by 116 feet (59 by 35 m) with the nave rising to 68 feet (21 m). The main façade houses three entrances and is framed by two 210-foot (64 m) spires. The structure is constructed of Indiana limestone, and granite from Gunnison, Colorado. The altar, statuary, and bishop's chair are all made of Carrara marble while other elements feature stone from Marble, Colorado; the 75 stained glass windows are from Royal Bavarian Art Institute in Munich founded by Franz Xaver Zettler. When opened, it could accommodate 1,000 worshipers, however, after alterations to comply with the directives of the Second Vatican Council, it now accommodates only 800. The cathedral offers three daily and six Sunday Masses as well as other sacraments regularly. Additional services to the community include the yearly provision of 50,000 - 60,000 lunches to the poor in the area. 1 2 3 "History of the Cathedral". Cathedral Basilica of the Immaculate Conception. Archived from the original on 2016-03-04. Retrieved 2016-03-11. 1 2 "Architectural Highlights". Cathedral Basilica of the Immaculate Conception. Archived from the original on 2016-02-29. Retrieved 2016-03-11. 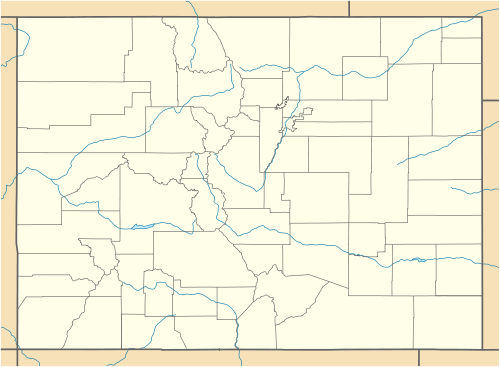 ↑ "Munster Denver" (in French). Nature et Patrimoine du Saulnois. Retrieved 2006-12-28.